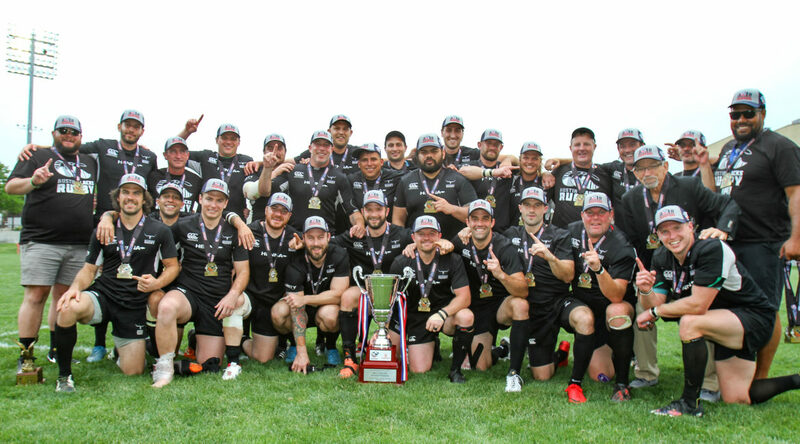 Glendale, CO.- The Austin Blacks D3 made history today as they become the first 3rd side to win a National Championship, and are the first Austin Blacks side to win a National Championship, as they take down Long Island Rugby 33-18. Things picked up when, in the twentieth minute, Austin scored the first try of the game again. The points were a result of an extended period of time in Long Island’s half. As they had done prior, Long Island came right back and drew level three minutes later. A penalty, shortly after, saw Long Island take their first and only lead of the game. The Blacks not wanting to let the score or the momentum get too far away from them switched it back on and came back for a try of their own. The try came courtesy of a beautiful chip and gather from their outside center, Edrique Visser. At the half Austin lead by 5, 18-13. The second half started in a much less dramatic fashion, with the first twenty minutes only seeing three points being scored by Austin. Long Island’s defense held strong under constant pressure, but as was the case in the first, pressure was unable to be alleviated and the toll of playing defense for nearly twenty consecutive minutes began to wear on them. In the blink of an eye, a game that had been so evenly contested, was blown wide open as the Blacks D3 scored two tries in two minutes taking their lead from 8 out to 20. The catalyst to this was the counter attacking ability of Curtis Chaffin, Austin’s fullback and the game’s MVP. The game then fell into a lull again as both teams looked to score next, but neither team able to fully establish themselves. As the game wore on Long Island began to get a sense of urgency into their game and continued to show their resiliency, despite the late surge they were unable to regain their lead. Austin winning 33-18.